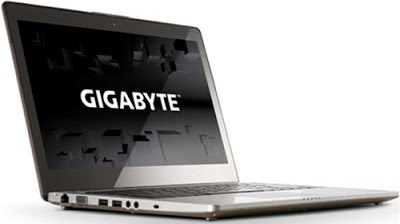 Gigabyte U24T UltraPortable Notebook features 14-inch LED-backlit LCD Touch Screen display of 1600x900 Pixel HD+ Resolution and is powered by 4th generation Intel Core 1.8GHz i7-4500U/ 1.6GHz i5-4200U processor with switchable Nvidia GeForce GT 750M graphics with 2GB VRAM. 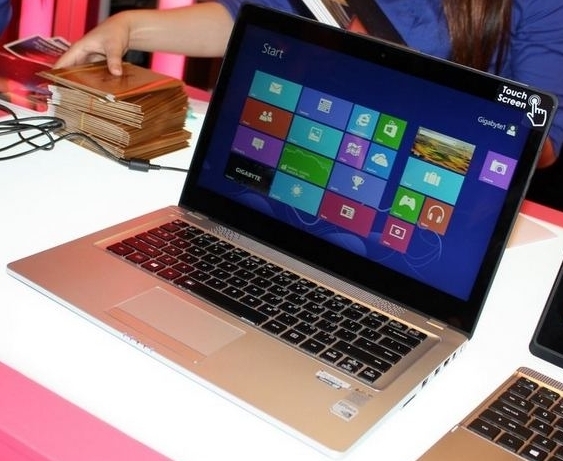 It comes with 4/8GB DDR3 RAM (up to 16GB). 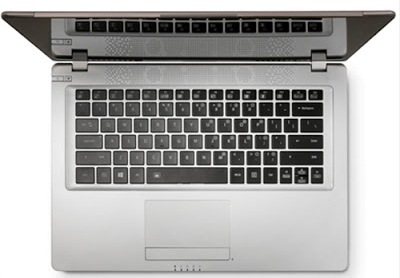 The Gigabyte U24T UltraPortable Notebook runs on Windows 8 OS and comes with Hybrid Storage of mSATA SSD up to 256GB + 1TB HDD. Connectivity and Expansion options of Gigabyte U24T includes 802.11b/g/n Wi-Fi, Bluetooth V4.0, RJ45 Ethernet, HDMI, two USB 3.0 ports, two USB 2.0 ports, D-sub, Mic-in, Earphone-out, SD Card Reader, DC-in Jack. Other features includes 1.3MP Web Camera, Dolby Home Theater sound quality optimization technology,Li-polymer Battery. It weighs 3.73 pounds/1.6Kgs and measures 0.83 inches thick. Tags:Gigabyte U24T, Gigabyte U24T features, Gigabyte U24T specifications, Gigabyte U24T review, Gigabyte U24T details, Gigabyte U24T availability, Gigabyte U24T specs, Gigabyte U24T images, Gigabyte U24T pics, Gigabyte U24T pictures, Gigabyte U24T imgs, Gigabyte U24T price,Gigabyte U24T Network options, Gigabyte U24T Expansion options, Gigabyte U24T multimedia features, Gigabyte U24T Sensor options, Gigabyte U24T Gaming options.